This poem first appeared in New Purlieu Review. 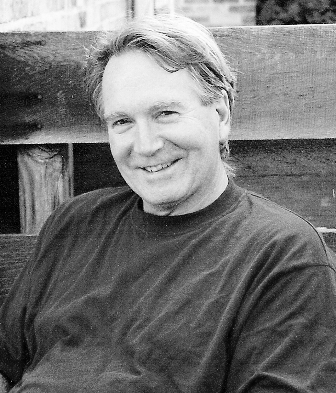 Stephen Anderson's prize-winning poetry has appeared in numerous print and online journals and has been featured on the Milwaukee NPR-affiliate WUWM program, ?Lake Effect.” He is the author of the 2006 chapbook, The Silent Tango of Dreams, and several of his poems appeared in the collection, Portals And Piers (2012). In the summer of 2013, six of Stephen?s poems formed the text for a chamber music composition entitled The Privileged Secrets of the Arch, which was performed by members of the Milwaukee Symphony Orchestra, an opera singer, and others. When not writing, Stephen enjoys traveling with his wife, visiting his two daughters and four-year-old grandson in New York City, bicycling, and trekking almost anywhere he can find a path. What a wonderful picture you paint,Stephen! And I loved "glide like pros for up-to-seconds-at-a-time." Perfect! I love the subtle, "upon further triage," that shows the "Emperor Penguins'" real duty--to protect their little "egg." This is a great poem with wonderful imagery. That is the best run-on sentence I've ever seen! Hilarious!